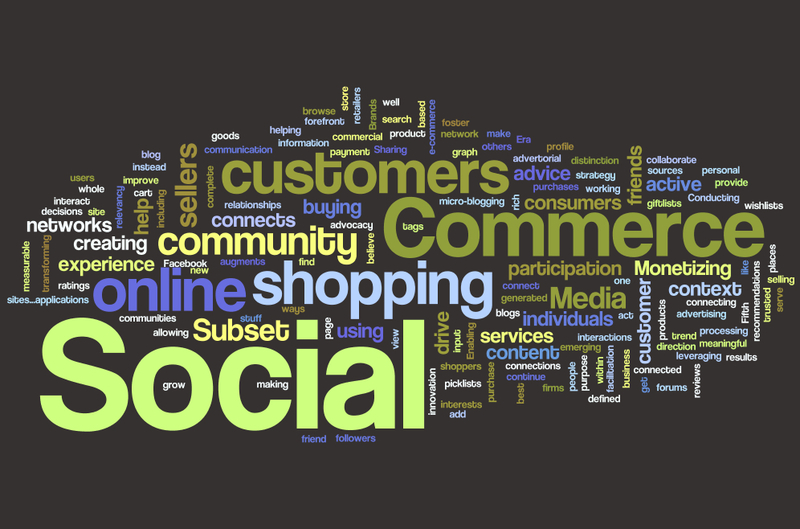 “Let’s get one thing clear- social commerce is not new. From inviting friends to sharing recommendations, social commerce has been an integral part of commerce long before the internet. Social Commerce in and of itself is not new. It has been around since long before the advent of the internet. What IS new is the way it is being done, the level of active engagement that is possible for brands and retailers, and the amount of influence today’s consumer has. In creating and maintaining an engaging social media presence, marketers are creating a space for consumers to get excited about the subject of the space, be it a brand, or product, or what have you. This is where people will start to share their enthusiasm, which in turn influences purchasing. If people feel like what they are saying matters, they will have more to say. If they feel a personal attachment to a brand or product, especially if said thing lends to their feelings of having influence, they will recommend it. This impacts the sentiment of their social circle, from family members all the way out to a virtual stranger that reads a review they wrote, which colors the reader’s purchasing and participation. There is a much broader impact of the opinion of one person than there used to be.